Over the last year, in Europe, natural hazards have been сoming one after another and have destabilized the coniferous forest markets. It all started with the storms of October 2017 (Xavier in northern Germany, Herwart in Austria). Then, in early January 2018, Eleanor swept 13 million m3 of wood in Germany. Other major damage was recorded in Austria, Switzerland and, to a lesser extent, in eastern France. Recently, nature hit again. On October 28-29, tornado Vaia felled about 15 million m3 of wood in northern Italy and 1.1 million m3 in southern Austria. While the current year is not yet over, it is already possible to say that the 2018 "health status" of many European forests will leave much to be desired. But the real worry of the moment comes from the consequences that the summer drought brought on some fragile species or the ones planted in the conditions that didn't suit them. First and foremost it concernes the spruce plantations situated on plains and in low mountain regions. 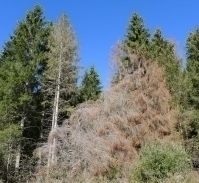 In fact, the bark beetle epidemic affecting standing spruce has reached alarming proportions in Europe. According to estimates, Belgium has 400,000 m3 of infected timber, Germany at least 1.6 million m3, Sweden 1.5 million m3 and the Czech Republic about 17 million m3. 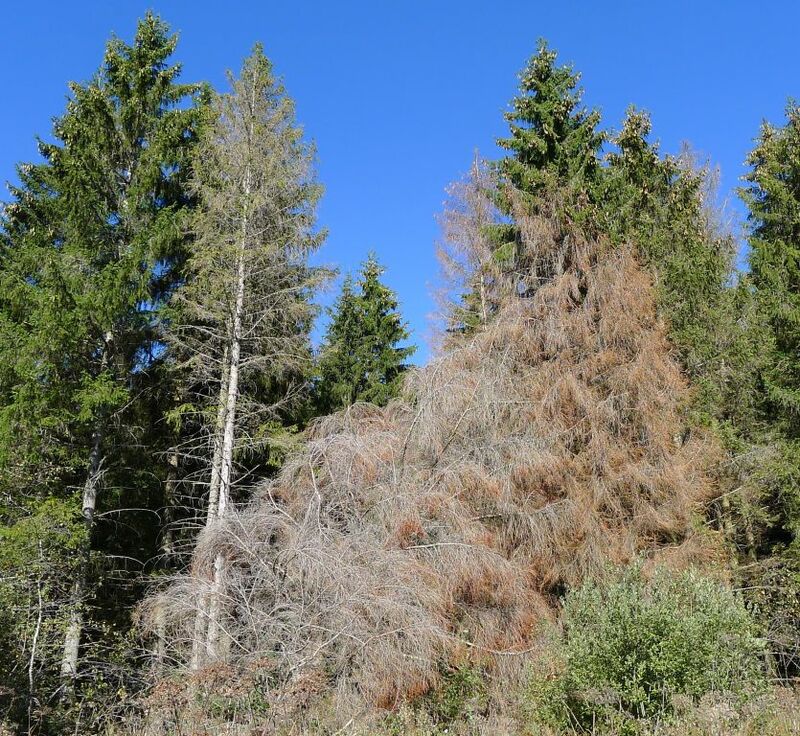 In Switzerland, official statistics for 2018 are not known but, in 2017, the Swiss Confederation already registered 320,000 m3 of wood infected by the European spruce bark beetle (Ips typographus). It is therefore reasonable to expect that the volume of the infected wood will be much higher in 2018. For its part, Austria announced that it lost 100 million euros to the outbreak of bark beetles. This autumn, in France, the bark beetle infestation was concentrated mainly in the north of the country, from Alsace to Normandy, limited by the Morvan and the Center-Val de Loire region in the south. "We estimate that about 800,000 m3 of spruce are affected by insects in the Grand Est and Burgundy-Franche-Comté," said Jean-Baptiste Schwebel, wood division manager at the ONF Bourgogne-Franche-Comté. Some important — but scattered — infestation foci were reported in the Massif Central, especially in its southern part (Aude, Tarn). All these events and especially the possible scale of their evolution next spring, are the cause of concern amount the sector representatives. Some private forest owners are expecting an upcoming development of bark beetle infestation and try to prevent it by cutting large volumes of green wood. And as sawmills abound with wood, spruce prices in northern France are under downward pressure (see Table 1). For its part, ONF does not intend to undersell the timber harvested in the state and communal forests. At the last public auctions held in November 2018 in the French east, the prices remained firm which led to an increased level of unsold goods compared to 2017. And if the spruce prices seemed to have slightly declined over six months (-2% on average according to ONF), those of fir remained firm (see Table 2). In a "more or less justified anxiety-inducing atmosphere" (according to the expression of the local sawmill owner) there is good news: the sawnwood markets still have normal demand levels.